"In this album I somehow inclined to jazz fusion and classic instrumentation. I think the eastern “blend” still dominates e.g. 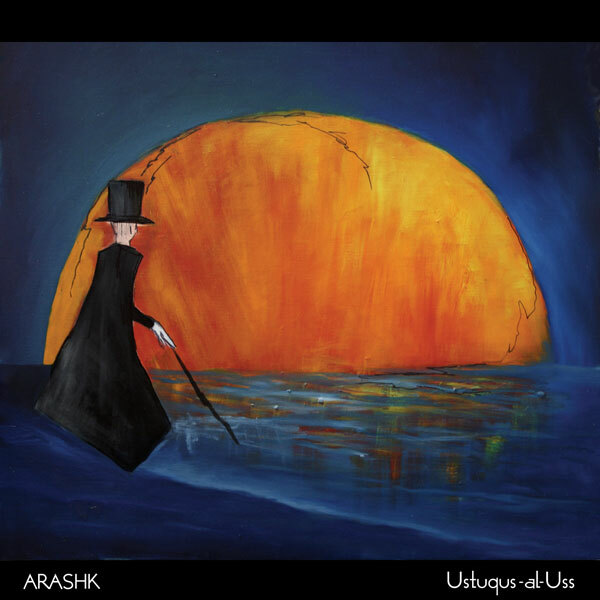 in “Ustuqus-al-Uss-al-Avvalin-val-Akharin” which I think is the most progressive tune I have ever made (The second catchy guitar solo is performed by Pouyan). Some songs are extremely personal e.g. “Naught been I thou” which is a off-beat jazzy with unusual dance elements… These songs are my utmost fears and hopes - to a degree that made me mute from communicating by words. 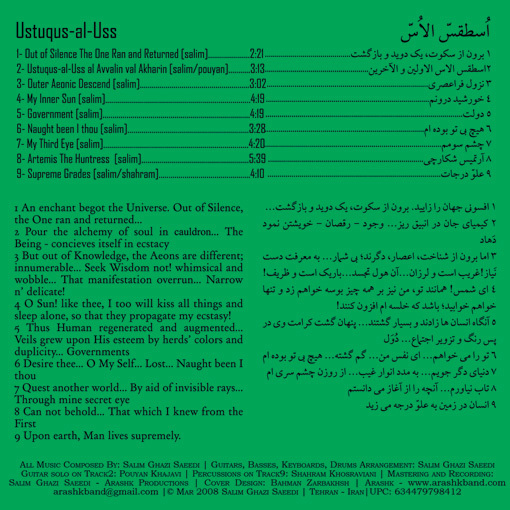 And thus they become instrumental sounds…"
"a poem in music consisting of 9 strophes"
"Salim Ghazi Saeedi is simply, in my view, the nimblest and most inventive speed freak guitarist of our times, and by far." 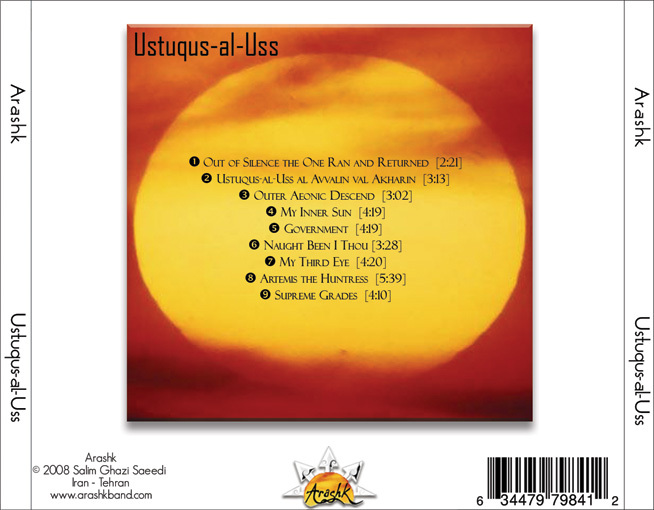 Without ever becoming predictable, and taking care to add in the odd dissonant or arhytmic segment, the gritty guitars and swirling violins create stunning contrasts..."
"Ustuqus-al-Uss is like the Arabian Nights in Rock music format"
"Ustuqus-al-Uss wirkt wie die Musik zu Tausendundeiner Nacht im Rockforma"
"A recommended album for any fan of Progressive Rock in the sense of the word." "Un album recommandable pour tout fan d'un Rock Progressif dans le sens premier du terme." "It’s pretty close to having it’s own genre." "A one-man ethnic chamber ensemble with occasional avant-garde and metal insertions ... Beautiful, original music!" "Ein Ein-Mann-Ethno-Kammerensemble mit gelegentlichen avantgardistischen und metallischen Einschüben... Schöne, originelle Musik!"